Most problems with residential locks are urgent. Whether it’s a faulty cylinder lock or a stuck door lock, it may frustrate or restrict access to your home. It has to be fixed as soon as possible. For a residential locksmith, time is always of the essence. That’s why we are committed to providing a 24 hour lock service that brings you peace of mind. A stuck lock can’t wait until tomorrow. We offer a complete range of home lock repair, rekeying, and replacement services that solve the problem before it turns into a frustration. We specialize in cylinder locks and other types you may be using in your home, including more advanced models. We can unlock the door, repair it, and give you a new set of keys, all this before you have time to become upset. When replacing a damaged or compromised lock, it’s crucial to consider the quality of the replacement. The replacement should not lower your security or restrict access. Our professional locksmiths use the latest tools available to replace any type of residential lock with the best replacement part available. We are careful not only about the integrity of the lock, but also about its design and appearance. 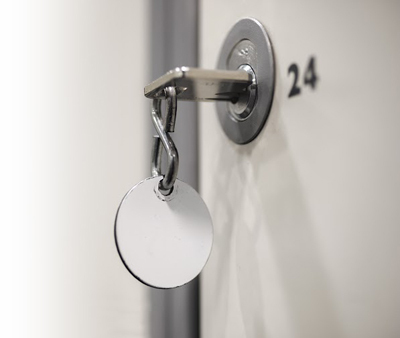 From the moment you contact us, you can rest assured that our residential locksmith services will handle all aspects of the job professionally. Our seasoned locksmiths can repair, rekey, and replace any home lock. We can work with window and cabinet locks, door closers, and more. The advantage of choosing us is that we can resolve any issue right away. In this way you save time and restore safety to your home. We also offer our services for automobiles. We can unlock steering wheels, repair ignition, open stuck doors or trunks, and more. Fix your lock now. With our complete home lock repair, rekeying, and replacement services you get the best value for your money. Call us now.